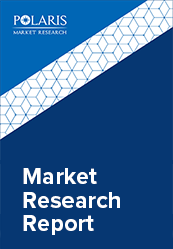 The global automotive wholesale and distribution aftermarket market was valued at USD 178.2 billion in 2017 and is anticipated to grow at a CAGR of 5.8% during the forecast period. The automotive wholesale and distribution aftermarket are the second phase of the commercial channel of the automotive industry. It includes activities required for maintenance of vehicles after initial sale till the end of its lifecycle. This market supplies components such as spare parts, accessories, second-hand equipment, lubricants, and appearance products required in repair and maintenance of vehicles through wholesalers and distributors. The Original Equipment Manufacturers design and produce vehicles with original parts developed by the company. When this vehicle undergoes any damage or wear and tear, the user has several options to get the components replaced. The aftermarket distribution and wholesalers offer similar components at lower costs. There is a vast pool of manufacturers for these components offering products at varied quality and prices. The major driving factors of the automotive wholesale and distribution aftermarket market include growing automotive industry, and increasing manufacturing of auto components. The use of advanced technology for fabrication of auto parts, along with growing awareness among consumers regarding proper maintenance and repair of vehicles supports the growth of the market. The increasing digitalization of automotive repair & maintenance services, and increasing average age of vehicles encourages consumers to maintain their vehicles and supports market growth. Other factors driving the growth of this market include poor road infrastructure in developing economies, and technological advancement. The global automotive wholesale and distribution aftermarket market is segmented on the basis of product, vehicle type, and geography. Based on the type of product, the market is segmented into tire, battery, filters, body parts, lighting & electronic components, exhaust components, wheels, and others. The tire segment accounted for a significant share of the global automotive wholesale and distribution aftermarket market in 2017. Tires are easily damaged by external factors and need to be replaced periodically. There has been an increasing demand of radial tires owing to low rolling resistance, higher durability, and enhanced service. The vehicle types include passenger vehicles, and commercial vehicles. In 2017, the passenger vehicles segment accounted for the highest share in the global market owing to increasing demand for luxury and modernized vehicles, and improving living standards. Geographically, the automotive wholesale and distribution aftermarket market is segmented across North America, Europe, Asia-Pacific, Latin America, and MEA. North America is further segmented into U.S., Canada, and Mexico. Europe is divided into Germany, UK, Italy, France, and Rest of Europe. Asia-Pacific is bifurcated into China, India, Japan, and Rest of Asia-Pacific. North America accounted for the largest share in the global automotive wholesale and distribution aftermarket market in 2017. The vendors in the automotive wholesale and distribution aftermarket market are launching new products to meet the growing customer needs. In addition, the leaders in the market are acquiring and collaborating with top companies in the market to enhance their offerings in the market and expand their customer base. The Automotive Wholesale and Distribution Aftermarket market is highly competitive with the presence of a large number of small and large vendors. Vendors offer products and services required for repair and maintenance for wide range of cars, trucks, vans, and buses. The leading players in the market include Denso Corporation, Robert Bosch GmbH, ZF Friedrichshafen AG, Continental AG, 3M Company, Delphi Automotive PLC, Magneti Marelli S.p.A, Goodyear Tire & Rubber Company, Cooper Tire & Rubber Company, and Federal-Mogul Corporation.